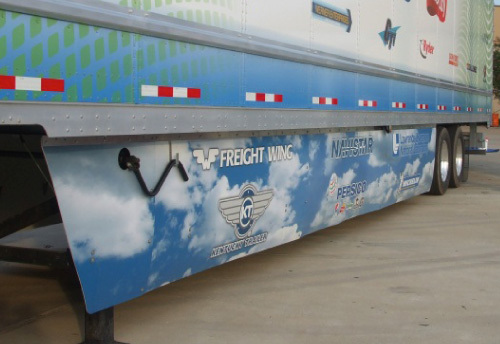 The AeroFlex Maxx is Freight Wing’s new full coverage side skirt. 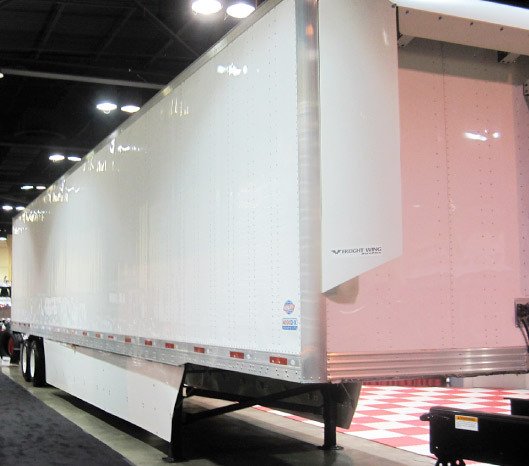 The AeroFlex Maxx uses a proven aerodynamic geometry similar to the original EPA SmartWay verified Freight Wing AeroFlex. 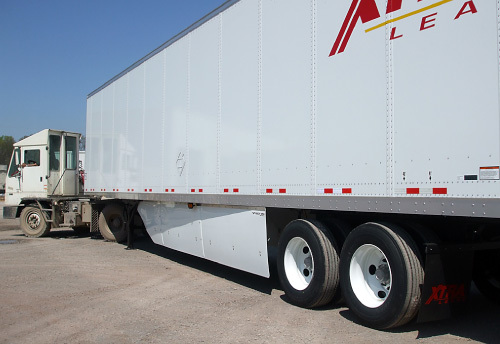 The AeroFlex Maxx can produce up to 20% more fuel savings than the standard version, making this skirt the most effective fuel saving product you can add to a trailer. The AeroFlex Maxx was designed using comparative wind tunnel analysis building on the highly effective AeroFlex shape. 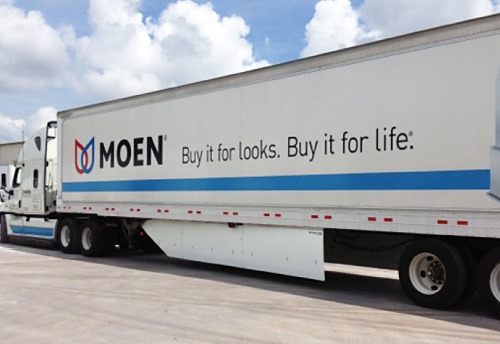 It provides expanded coverage for more savings while maintaining the same great features and durability of the original. Wind tunnel testing demonstrated a 20% improvement over the standard AeroFlex SAE J1321 type II results of 7.45%, this gives the AeroFlex Maxx a 8.40% fuel savings potential at 63 mph. Although the cost and install time of the Maxx design is a bit more than the standard AeroFlex, the long term fuel savings can be substantial over several years of deployment. 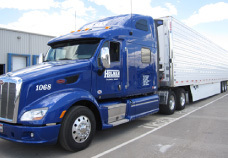 This improvement in savings is especially important for high mileage, long haul operations. 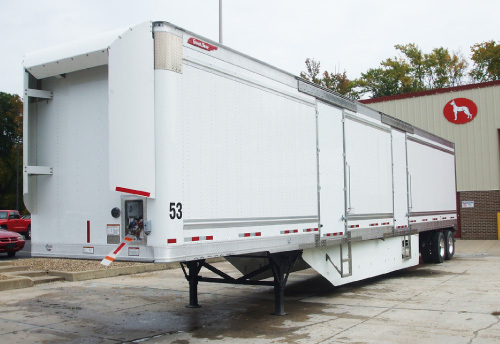 While the 20% additional savings over our standard unit is impressive, the 50% percent improvement over other skirts on the market that only meet minimum compliance requirements is truly remarkable. Others may claim and present false data that short skirts, small skirts, bogie wedges etc. perform just as well or better than the AeroFlex design, but the fact is that none of these concepts compare to full coverage skirting in comparative testing on a level playing field. Multiple independent testing projects have proven this fact over the years, one of the better of these fleet sponsored testing projects is available for review on our testing page, comparative wind tunnel evaluation. While this study shows the standard AeroFlex dominates the competition, the advanced AeroFlex Maxx blows them away. Watch the AeroFlex Maxx Composite durability test. The AeroFlex Maxx is offered in the traditional DMP plastic panels or the new glass reinforced composite material. Both materials are an excellent value using the same proven flexible design concept incorporating a pressure responsive bracing system and supporting aluminum components. 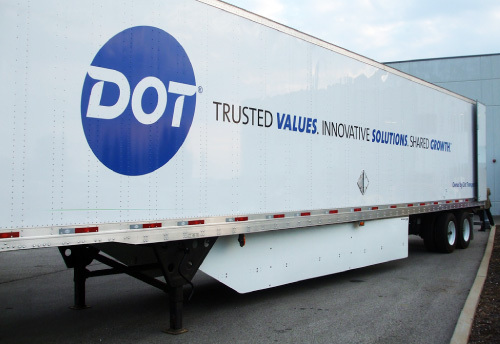 Our DMP plastic option continues to be the popular standard for hard running fleets, but many also like the characteristics of fiberglass reinforced skirts and we are happy to make this new alternative available. The Maxx DMP Plastic uses the original AeroFlex panels. For those looking for maximum impact protection, lightest weight and lowest cost, this is your choice. The Maxx Composite is the new standard in glass fiber reinforced type skirting. For those that prefer the great looks of a composite panel skirt, this is your choice. Best in class flexible panel and bracing system. The key to durability in a skirting system is using flexible components that all work together to allow for ample clearance and resistance to impact damage. The AeroFlex Maxx meets any operational challenges as it simply uses the proven AeroFlex standard components that have been known as the toughest skirting system on the market for years. 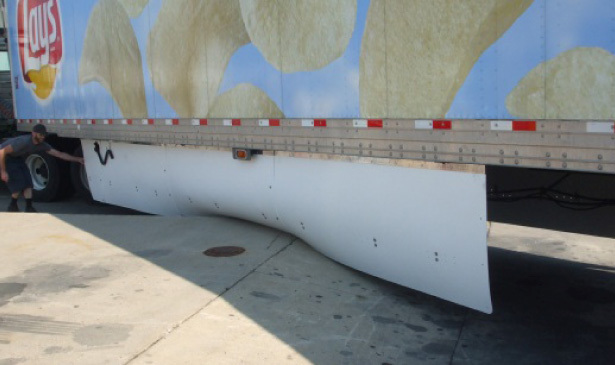 The Aeroflex Maxx can bend inwards, outwards and most importantly upwards to avoid damage from high clearance situations such as ramped loading docks that can cause problems for other skirting products. Unlike some skirts that are limited by a lower flexible extensions, the Aeroflex panels are flexible throughout the entire panel so there are no rigid panels or components to be damaged. Integrated into to our design approach is the realization that damage can occur and that panels can get beat up over years of repeated impacts in some abusive operation situations. Because of this reality, we provide a couple unique capabilities to ensure the consequences of any damage event is minimized. 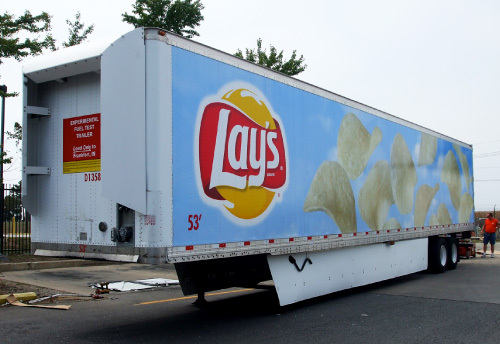 First, no matter how severe the damage, our panels and braces are designed to remain securely attached to the trailer so that the unit can typically remain in operation until it is convenient to perform maintenance. Secondly, the three piece panel design enables the replacement of just one damaged section instead of the entire side. Panel replacements are a difficult and frustrating problem with other one piece skirting designs. The AeroFlex panels and braces are designed to be low cost and very fast to change out in a manner of minutes. With the AeroFlex you will never get stuck with costly repairs or panel changes that are a hidden problem common with inferior products. Our comprehensive approach to durability and maintenance sets the AeroFlex apart from any other skirt. 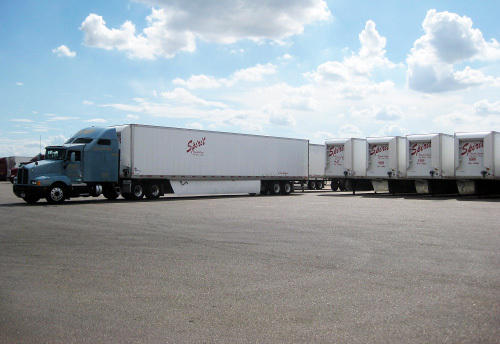 All parts are corrosion resistant and UV protected to offer you reliable fuel savings for the lifetime of your trailer. A typical install takes approximately 4 hours. 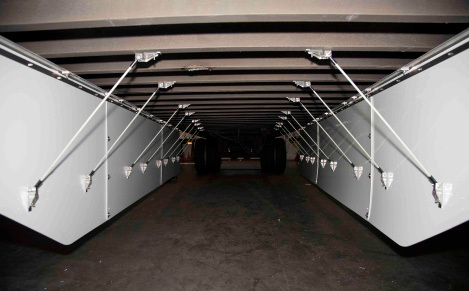 The AeroFlex Maxx installation procedure is streamlined to make it fast and easy. Optimized installations of the product have seen it completed in around an hour with experienced technicians. 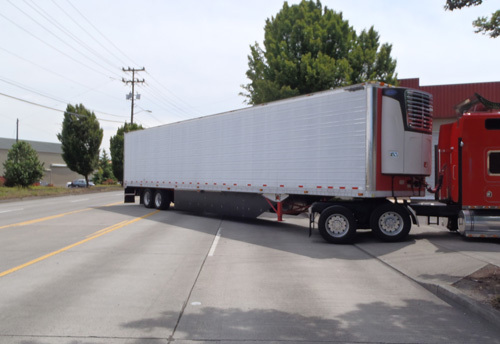 If your shop recourses are limited, call Freight Wing and our experienced installation teams can make this task quick and efficient. 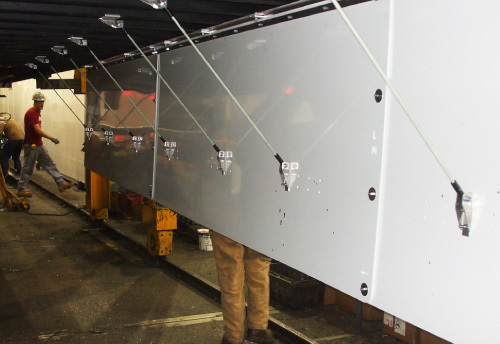 Our direct panel mounting system eliminates wasted material and provides the most secure connection of the panels to the cross members. 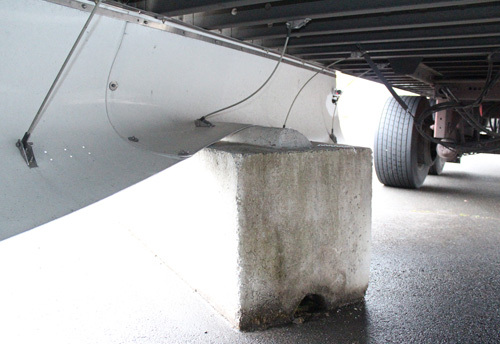 The inside brace connections clamp on the cross member, are easy to align and stay in place for the life of the trailer. 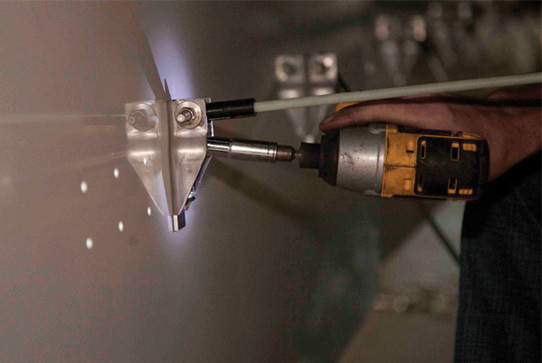 The panels come completely prefabricated with no cuts to make or holes to drill that can slow down and complicate installations of other designs. 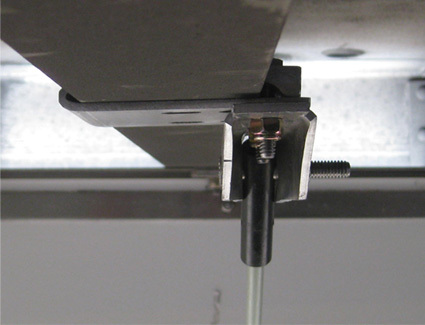 All fasteners are optimized to eliminate install errors and to facilitate easy install and replacements. Our customers are fully supported by a comprehensive install manual and access to expert technicians that are ready to assist you with any problem. For large unit implementations, ask us about our inverted drill press designed to make installation quicker and easier. It simplifies drilling while improving speed in volume situations. The Aeroflex Maxx will take around an hour longer to install compared to the standard unit, but the added install procedure around the landing gear is well developed and worth the extra effort if optimized aerodynamic efficiency is the primary objective. DMP Plastic Unit: 175 lbs. No special requirements. 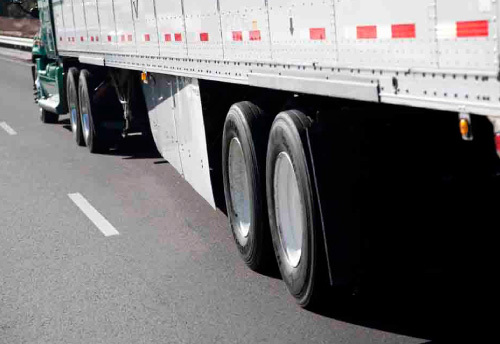 Incorporate into normal trailer inspection schedule. See more examples of AeroFlex applications. 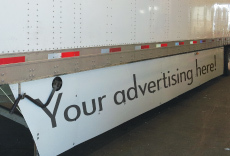 Ask about our in house graphics capabilities. 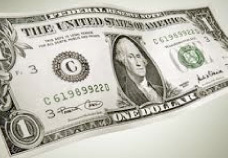 Click here for simple application, low rates and fast approval.